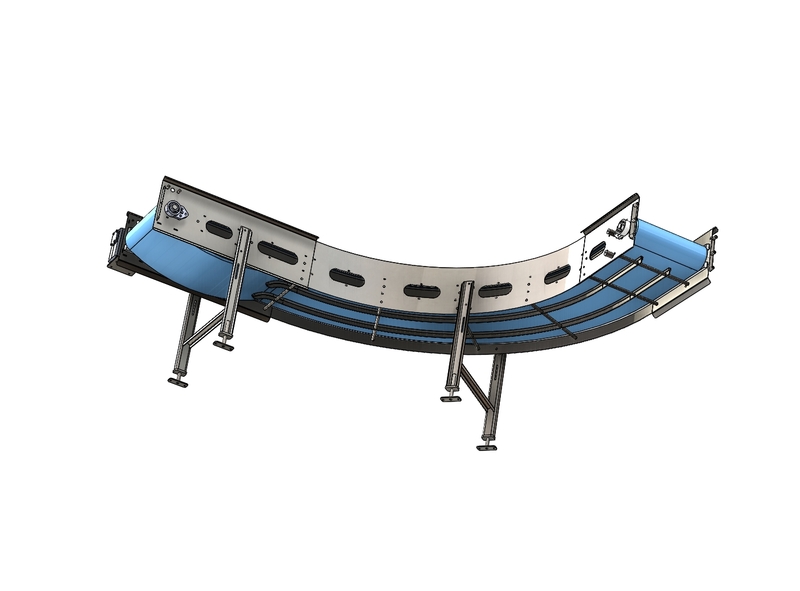 Radius Conveyor - Stone Enterprises Inc. 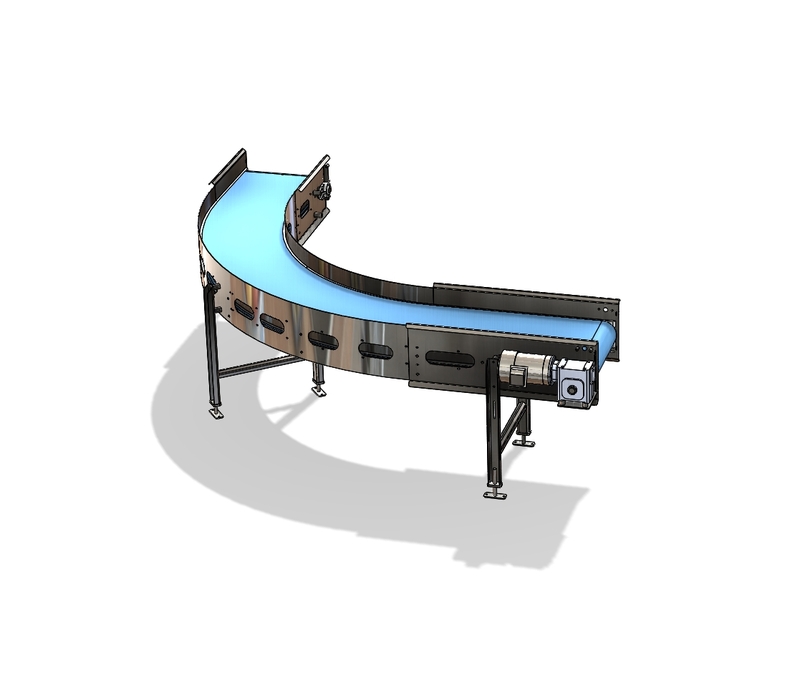 Features and benefits:Radius conveyors move products around obstacles with ease.Can be configured to change directions up to 180 degrees.Built in modular design for easy expansion.Custom built to all your specifications. Produced and constructed from 300 series stainless steel with AMI’s Sanitation Equipment Design Principles and ease of cleaning in mind. 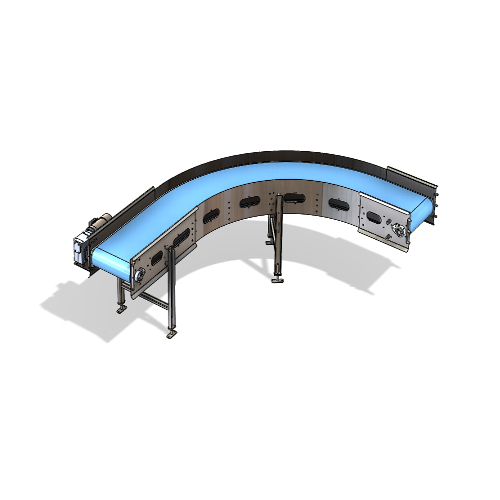 Ergonomic employee stands, drip pans, VFD’s, are just a few of the options available.